I’ve been very quiet on the blogging front lately and for that I apologize. I’ve been making extensive rewrites and revisions to HERO’S END. Once I had the book nearly completed, I sent the draft to my editor and friend, Laurel Kriegler. There was something about the story that really bothered me. It wasn’t coming together as I’d hoped. Laurel pointed out that some of the plot holes I was finding would be covered by adding two subplots and two more point of view characters. She and I both felt that I’d rushed my fences with SOVRAN’S PAWN, releasing it before I’d worked out all the kinks in the plot and story. I promised myself that I’d take my time with HERO’S END, giving my readers the very best of my effort. That has delayed publication, but I really feel that the story will be the better for having taken the extra time. 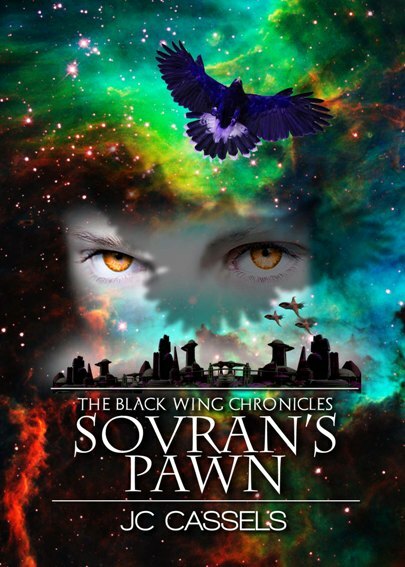 I hope readers will appreciate the added insight into the new POV characters, the expanded view of the BLACK WING CHRONICLES’ universe, and the deeper exploration of Bo and Blade’s characters and their pasts. HERO’S END is in the final drafting stage now and we are going over each chapter, polishing and perfecting it. If my children cooperate with my writing schedule, I’ll be able to announce a release date soon. Looking forward to it…my Nook is all empty of new reads. Well, we certainly CAN’T have that, now…can we?